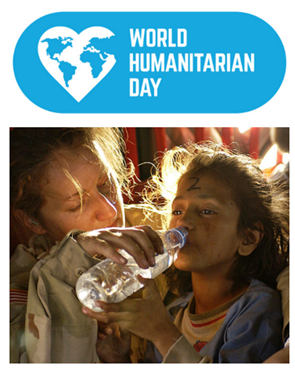 World Humanitarian Day - August 19 "One Humanity"
We are seeing the biggest humanitarian crisis of our time! Are you willing to answer the call to action? World Humanitarian Day (WHD), August 19th, celebrates and recognizes humanitarian aid workers who risk their lives to improve the lives of others. This day was designated by the United Nations General Assembly to mark the anniversary of the 2003 bombing at the UN Headquarters in Bagdad, which killed 21 UN workers including Serio Vieira de Mello, the Special Representative of the Secretary-General to Iraq. See the story map to learn more!